Before there was “house music” there was House Music and Gene & Ezra Hollard are bringing the latter back with their first “Jazz Night” to celebrate the 1800’s in their 1893 Victorian House: 1237 Neil Avenue. They are kicking the night off with Mr. Ragtime himself, from New York City…Mr. Terry Waldo. Saturday, October 2 @ 8 pm. Seating is limited. Free non-permit parking all along Neil Avenue. 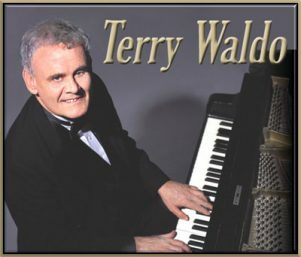 Terry Waldo has performed and composed for many TV programs and films including, The Tonight Show, the PBS Documentary, Storyville: The Naked Dance and Ken Burns’ PBS documentary, Unforgivable Blackness: The Rise and Fall of Jack Johnson. Terry has produced and arranged over 40 albums, including a ragtime orchestra album for BMG and is currently working on albums for Chiaroscuro, GHB and Delmark Records. His This Is Ragtime, presently being republished by Jazz at Lincoln Center, is the definitive book on the subject and it along with his 26-part series, of the same title, produced for National Public Radio, fueled the 1970s ragtime revival. In Spring and Fall 2009 he is teaching a ragtime course for Swing University at Jazz at Lincoln Center.